We got some good news for Robots In Disguise fans in Australia. A new DVD release is coming with the Robots in Disguise: Combiner Force: Freedom Fighters DVD. Via Stack Magazine Australia we can confirm that this new DVD release is scheduled for December 5th, 2018for only AUD $14.99 ($10.66). One interesting detail, revealed via the Sanity website, is that the total running time is 132 minutes which should be equating to 6 episodes. This should be the final Robots In Disguise DVD Australian release, bringing the final episodes of the series. You can now click on the bar and let us know your impressions at the 2005 Boards! I was praying no RID news would come ever again but I was wrong. So sorry to hear that, praying for you in this difficult time to having to see news of an Australian DVD release. As a transformers fan i want physical copies of all the cartoons and movies . Thats why i shall continue to use my DVD recorder when the shows come on TV because RID didnt even get all of season 1 released on DVD in the UK . I like to know that in 10 years time i\'ll still be able to watch my favourite shows without relying on the likes of netflix and amazon to tell me when i can watch them . I wouldn't hold out for any more RID 2015 home video releases from Shout! guys; the Season One set was released back in May 2016, and there's only been one further release containing the two Season Two two-parters since then. It really looks like they've given up on the series. This might possibly be due to lower unit sales for the season set than Prime (maybe since this is a deliberately younger-skewing series? ), combined with the ongoing rise of streaming services. I suspect if they do release any further episodes of RID 2015 on home media, they'll be a selection of episodes as with the recent Rescue Bots releases they've continued to put out. If they are going to rely more on streaming services, they really need to get better at putting their content on those services. 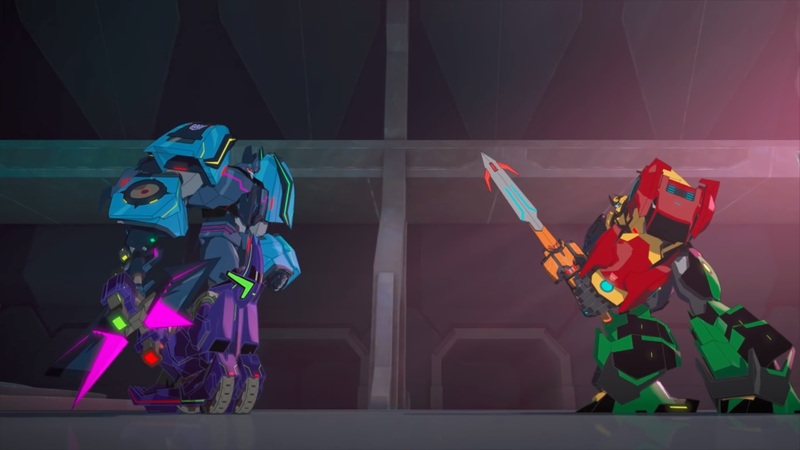 Prime and RID have only season 1 on Netflix in the US. Not even sure if Rescue Bots is still on there. Did the U.S ever release a complete season two and three set? Still waiting for Shout to put complete series sets of 2001 & 2015 RID on dvd here in the u.s.. Including a "Transformers RID 2015" DVD that should probably have the last 2 episodes "Enemy Of My Enemy", and "Freedom Fighters"? I think I have a question: Would this DVD also be released in the US as well? For AU$14.99, that sounds like a reasonable price. Release Date: December 5, 2018. This appears to be the final volume since there are no more episodes to release.